Obituary for Allen Clarence White | Goldsboro-Fabry Funeral Home, Inc.
Allen Clarence White, age 68 of Smithfield, PA passed away on Thursday, November 8, 2018 at his home. He was born on November 28, 1949 in Andover, NJ, a son of the late Albert White and Elfriede Smouse White. 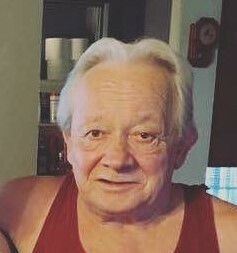 In addition to his mother, he is survived by his wife, Rose Jennie Drake White; four children: Deborah May Weaver (Larry) of Chestnut Ridge, Dawn Marie White of Uniontown, Allen Raymond White (Crystal) of Fairchance, Tanya Johnson of Smithfield; six grandchildren: Corporal (U. S. Marines) Allen White and fiancée Jordan Edwards, John Arshen, Jennifer Smith, Raven White, Alex Arshen, Lynda Weaver; sister, Louise Morgan of Newton NJ; brothers: Albert White of Belleview FL, Archie White of Wanich, FL, Carl White of Cape Canaveral, FL; numerous nieces and nephews. Allen’s family will receive friends from 2-4 and 6-8 p.m. on Tuesday, November 13, 2018. A Funeral Service will be held at 8 p.m. on Tuesday with Pastor Michael Lyons, officiating. Interment is private.